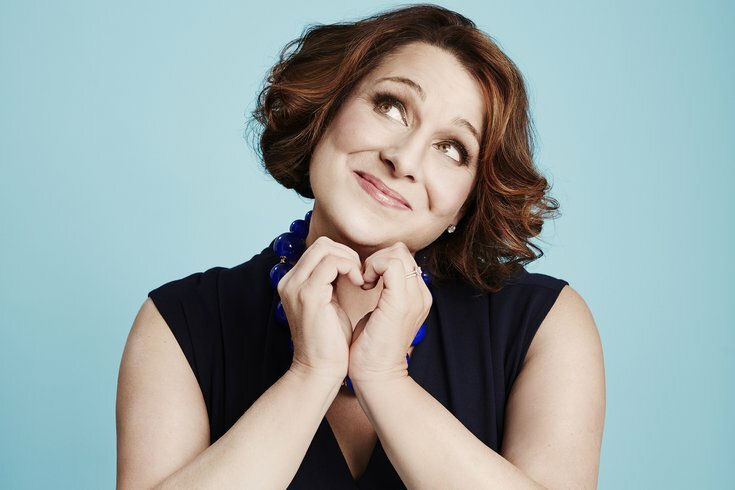 Jennifer Weiner shines as a cultural critic. The celebrity essay collection seems to be all the rage these days. Tina Fey began the trend, Amy Poehler perfected it and Amy Schumer broke the bank before hers was even published. Jennifer Weiner qualifies as a literary celebrity, so it’s no surprise her first foray into long-form non-fiction would be a collection of essays. "Hungry Heart: Adventures in Life, Love, and Writing"
The first half of “Hungry Heart” reads like memoir in its purest form, just chopped into bits to qualify for popularity. Weiner chronicles her childhood in great detail, including the roots of her family and how her parents met; but it feels like her submission to her family’s Ancestry.com page, more so than an essay with a profound and touching conclusion. She also spends a lot of time discussing her college years at Princeton University. It’s meant as a platform for the devastation wrought by her father’s leaving at an integral period in her upbringing but it turns into an unnecessary treatise on her feminist bona fides. There are standouts in "Hungry Heart” and they make up for the clunky beginning. In “Nanna on the Silver Screen” she shares some insight into the process of turning her book “In Her Shoes” into a Hollywood movie. In “Appetites” Weiner reveals her experience with weight-loss surgery and speaks candidly about body image; it’s a fascinating dissection of how a woman’s body is never her own. She recalls, in heartbreaking detail, her miscarriage in “Miss” and it highlights how awful the situation is for the woman — and how awfully the health care system handles it. Her family members make appearances as a cast of characters. She’s mined them for her fiction and now you get to see them in all their charming and awkward glory. Her discussion of her mother’s coming out and her father’s abandonment and death are dealt with with the swift touch of a professional. Weiner doesn’t do maudlin. Weiner shines as a cultural critic. “Twitter, Reconsidered” should be required reading for writing students, journalism majors and budding feminists. Weiner is at her best when she’s making the most of a bad situation, and as a massively popular genre writer, people (mainly men) have found her an easy target. But she turned an incident into activism, and her support of female writers in all genres has garnered her a new slew of fans in both fellow writers and readers. But I can’t abide by her advocacy of “The Bachelor.” In “TLA: ‘The Bachelor’ and Me” she attempts to tell a story in tweets about the various “Bachelor" and “Bachelorette seasons” she’s become of fan of, but I’m not buying it. Not even in essay form.